Just in time for Christmas comes Peony Parcel, one of the newest players in Australia's growing subscription box market. 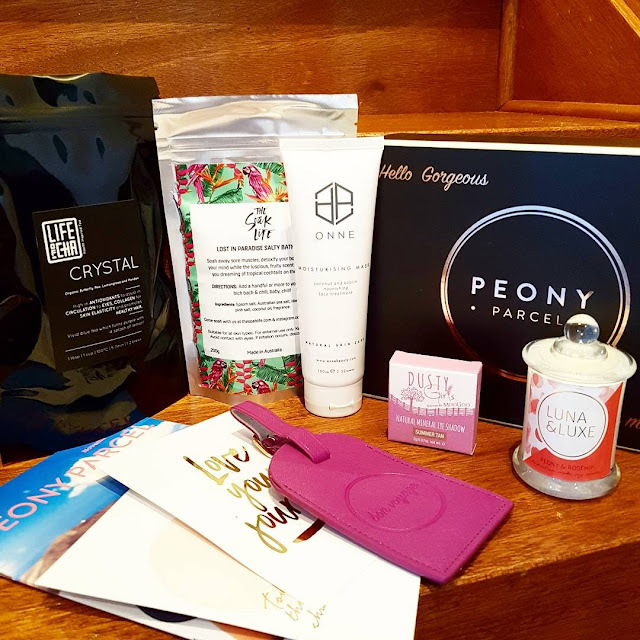 Peony Parcel is a bi-monthly offering, featuring between 3 and 5 full and deluxe sample sized products from emerging Australian brands; carefully selected with one purpose in mind . . . for you to create some "me time". Arriving in a matte black box with foiled rose gold accents, Peony Parcel delivers on luxe packaging (that is also heaps secure to protect the treats inside) and would therefore make an amazing gift. Likewise, it's always nice to open a nice present to yourself, amiright? The launch box is the Wanderlust Edition with products chosen accordingly and a special inclusion of a luggage tag . . . in my favourite colour! Also included is a cute magazine with more information about each of the products and the brands behind them as well as tips for treating yo'self with the enclosed goods in the "Pamper Menu". There are different options available for you to get your Peony Parcel on. A one-off gift box is a straight purchase with no auto-renew or lock-in contract. 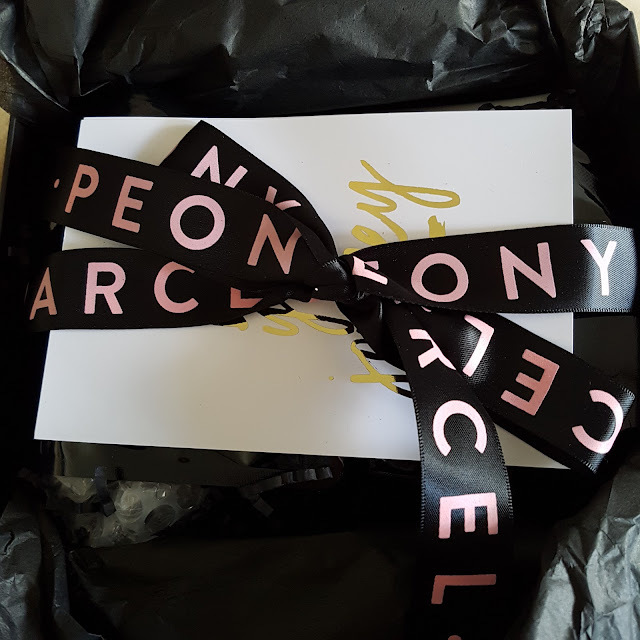 Alternatively, if you like what you see and want to save a couple of bucks, you can opt for a subscription which will see a Peony Parcel on your doorstep every two months. Again this isn't a lock-in contract and you can cancel up to 7 days before the next billing cycle. If you're fully committed or a very generous gifter, you can save a little more and pre-pay for a six-month subscription (three boxes). You can also use the code WANDERLUST10 to get 10% off your order! Winathon! The boxes are worth over $100 so represent serious value and the presentation elevates it into the higher end of deluxe giftage. I first met the founder of Peony Parcel in person in Hong Kong's international terminal in 2002 as we headed to Europe for a Contiki tour, having first connected on their message boards. Thanks to the internet we've kept in touch since and it is super exciting to support her and the Peony Parcel team in this new business venture! So why not hit them up with some likes and follows over at Facebook and Instagram. Are you a subscription box-er? Does the Peony Parcel pique your interest? I was kindly gifted the Peony Parcel for review. Images and words are 100% mine and authentic. For more information, please see my PR & Media policy.